stay out come in stay in come out (cloaking device #2) is a site specific, participatory installation. 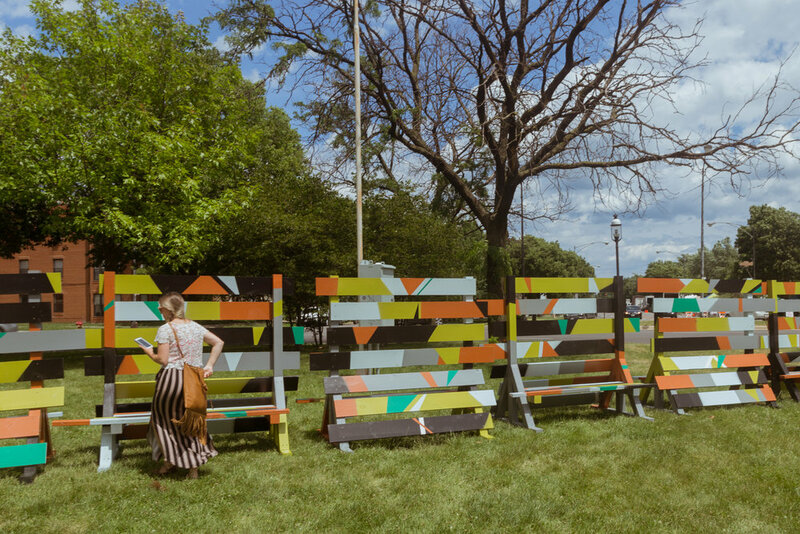 Installed on the lawn of Comfort Station in Logan Square for two months, the project consists of 6 barricade structures with a striped “dazzle” camouflage pattern based on the colors of the immediate surroundings of the Logan Square traffic circle. The patterns are designed to both attract attention and at the same time visually obfuscate the form of whatever or whomever is behind them. 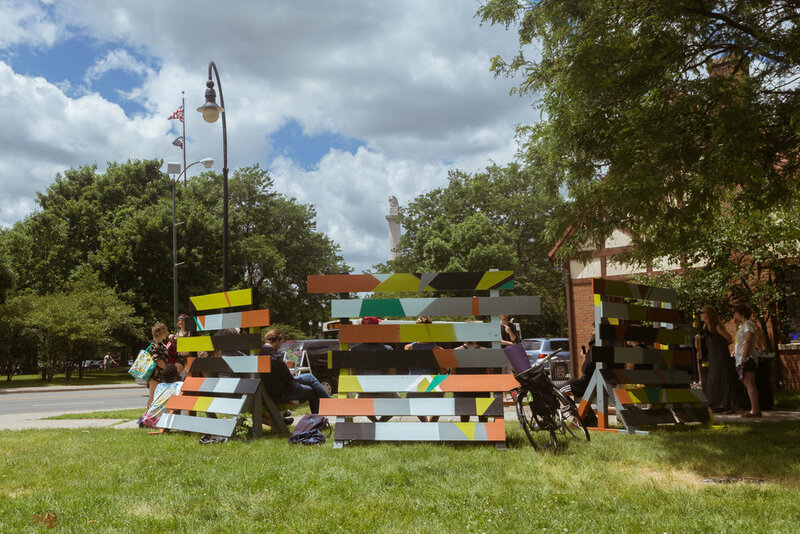 The barricades are constructed in a modular fashion to allow different configurations--a wall, a shelter, a fortress, a scattered cluster--with a bench built into the anterior side of each. 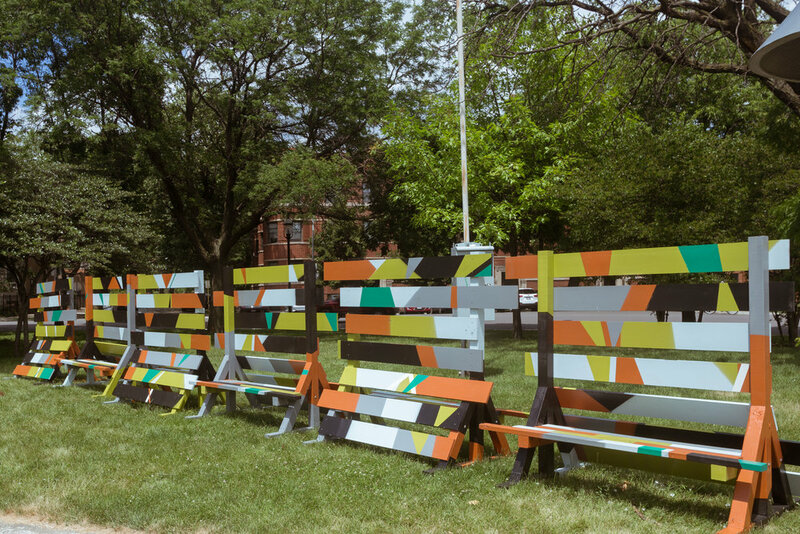 The barricade structure was chosen for its function as a barrier that is both firm but permeable: it marks a line between inside/outside, allowed/not-allowed, and public/private, but it functions differently according to who is implicitly or explicitly granted access to one side or the other. 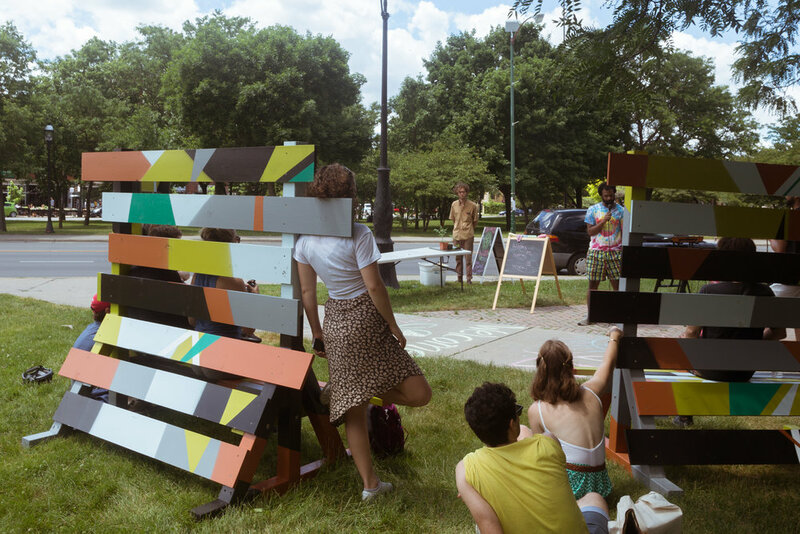 By making this installation re-configurable, various publics are encouraged to create their own spaces with it, or imagine how a structure that limits movement could be a space that is protective, inviting, or empowering. 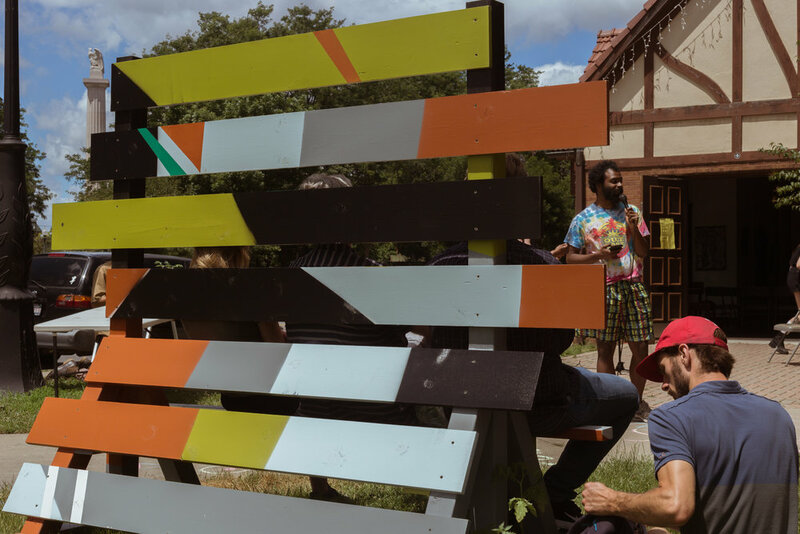 Throughout the two month’s that it is on display, the installation will be activated by various collaborative events and performances, including events related to Comfort Station’s “POWER Project” in June with the Art Leaders of Color Network (ALCN). In World War I, American and British Naval vessels used bold stripe “dazzle” patterns designed not to conceal their physical presence, rather, to disorient a distant viewer and confound their ability to read the ship’s size and vector. 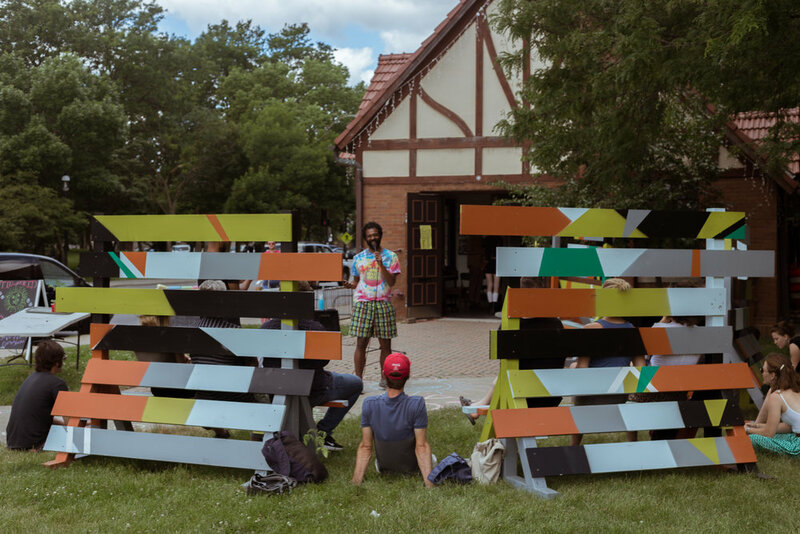 Similarly, the patterns of the barricades in stay out come in stay in come out do not conceal the physical presence anyone behind or within them, they instead disrupt and recast the visual presence of how they are seen.